For a lot of checking of the devices such as some machine and the vehicles it is really necessary to enter to the bottom and then know the detailed condition and come up with the idea to solve the problem. But usually it seems that it is not an easy task and after a long time stay in such kind of condition, it is really tired and not comfortable as well. And now in order to help people stay in a comfortable way and also improve the condition the under vehicle inspection mirrors has been invented and have help people a lot and just in this passage you will gain more detailed and useful information here. Many types of different styles vehicle inspection mirrors have been invented now and considering that usually people have the need to gain the device that can be easily take along with them and also have requirements about the size as well, here this “Mini Pocket Search Mirror” will be taken as the instance here and more details of this under vehicle inspection system will be as the following content. This pocket search mirror owns a quick and effective visual search capability for law enforcement officers and for individuals with personal security concerns. And as specialized task units often require a similar capability optimized for tactical use, so this under vehicle inspection mirror can be a good choice. Besides the angel of this under vehicle inspection mirror is adjustable, so it provides a wide field of view. Thus the unique telescopic handle extends to 460mm (18.1 inches) and at the same time to ensure a stable image. In addition, as fitted with an acrylic mirror, this vehicle inspection mirror can be used to where unobtrusive close in observation is required by individual officers, such as the police SWAT. 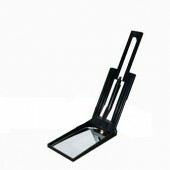 This vehicle inspection mirror is just one of the under vehicle inspection mirrors that can create people a lot of convenience, if you want to know more and then gain the best under vehicle inspection mirror, you can just come here www.detectorall.com and soon you can gain the suitable under vehicle inspection mirror.